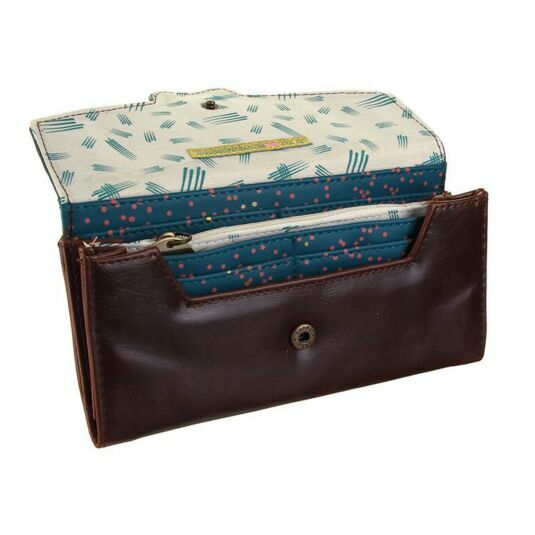 This lovely wallet part of the Meow range by Disaster Designs is purr-fect gift for any cat lovers out there! A paw-some design styled to feature aspects of your feline friend with imagery and versatile colour. 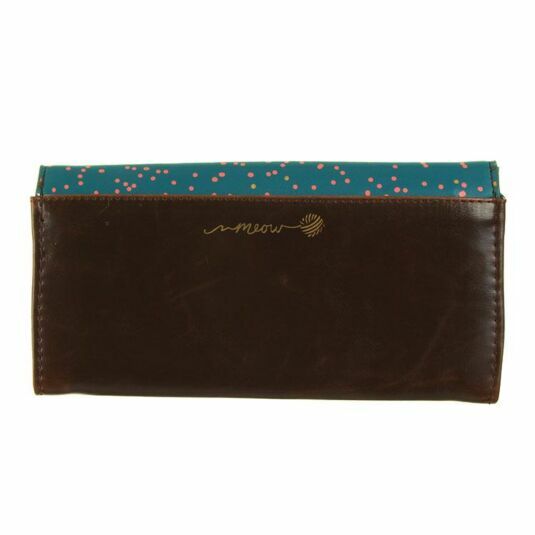 The wallet is a great size that allows it to fit nicely in your bag, it opens up with a flap and secures with a popper. 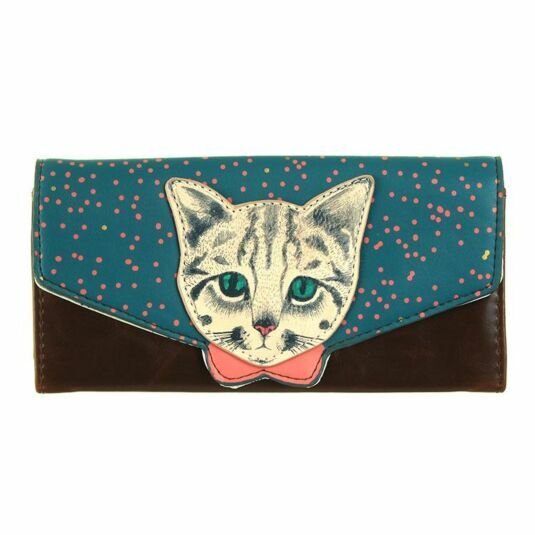 On the front with the flap is an image of a tabby cat with a lovely pink bow, the background is tea with pink polka dots all over. Open it up and you will see the brown faux fur, on the front and back. 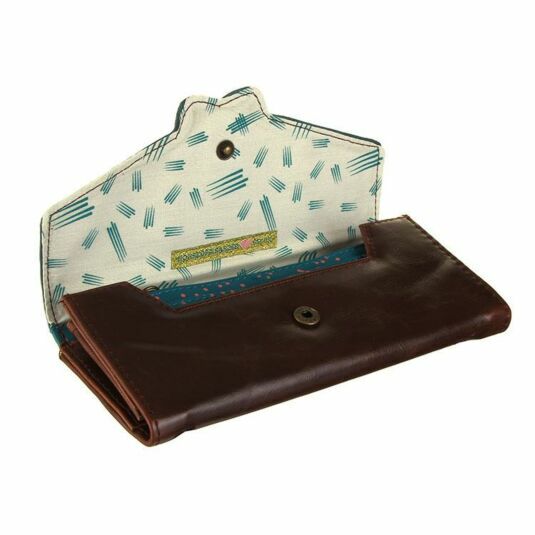 You have a multitude of card compartments, sleeve for cash and a zipped coin pouch. What a fantastic gift, ideal for any cat lovers out there, or maybe someone who likes pretty things. A great idea for birthdays and a perfect present this Christmas. Meow is an adorable range brought to you by Disaster Designs. The theme features furry felines, with bags and accessories in striking colours, covered in images of cats. Pink, teal and brown are the main colours used in this range, the items are very versatile and can work with an infinite range of tones and hues - and they are all very cheerful, guaranteed to pick you up! Everyone, including cat lovers, will love this range, which works on cold winter evenings as well as warm summer days - this range can suit whatever season fits you best.